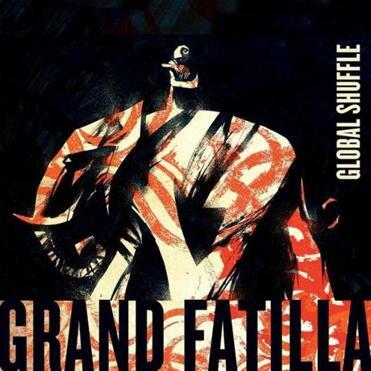 The debut CD by world-music quartet Grand Fatilla broadens as you get deeper into it — taking in more genres with exacting technical virtuosity, and also widening its emotional scope. The helter-skelter shifting meters of the Bulgarian folk-dance-tune opener “Cigansko Oro” immediately puts you on notice of the band’s skills: Matt Glover’s fierce bouzouki-like mandolin plucking, Roberto Cassan’s equally dizzying accordion, the fast patter of Fabio Pirozzolo’s percussion. Meanwhile, the sure-footed groove of Mike Rivard’s bass lines creates the illusion that you could dance to this stuff if you dared. (Guitarist Claudio Ragazzi guests on several tracks.) Cultural cross references abound — a Southern Italian folk medley begins with a drone and chant that hark back to the Moroccan-styled “Kasha,” showing the Arabic influence at the tip of the boot, and breaks into Pirozzolo’s rendering of a tongue-twisting tarantella. Pirozzolo also infuses Cassan’s original milonga (country cousin of the Argentine tango) with vocal melancholy. The closing ballad-tempo “Little Church,” by Brazilian avant-gardist Hermeto Pascoal, is a fitting benediction for this focused, impassioned survey of cultural migration. Jon Garelick can be reached at jon.garelick4@gmail.com. Follow him on Twitter@jgarelick.